Entrance gate to Yokohama Chinatown. 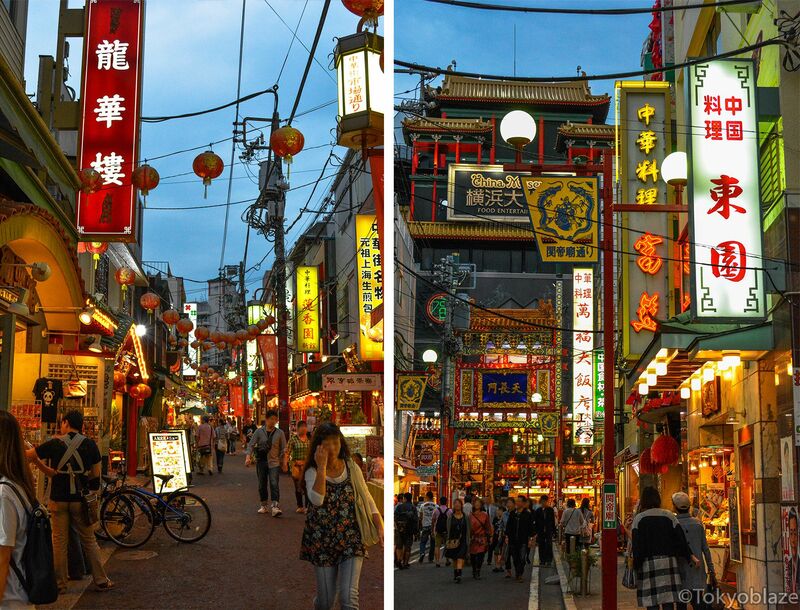 Yokohama’s Chinatown is the largest Chinatown in East Asia and is home to around 2500 Chinese. Here, you’ll find countless Chinese restaurants, offering everything from Guangdong to Beijing, Szechuan to Shanghai cuisines. One of the main attractions in Chinatown is the Kantei-byo, originally built in 1887 and dedicted to Guan Yu, a former general and deity of the temple. Chinese immigrants living in Chinatown come from various regions in China and Taiwan, many from Guangdong province. In 1859, the year when the port of Yokohama was opened, a foreign settlement was established in Yokohama by the Japanese government, with many Westerners, diplomats, and Chinese traders staying in the area. When the First Sino-Japanese War erupted in 1894, many Chinese returned to their homeland. However, after the war, the area was settled again by many Chinese, including revolutionaries such as Sun Yat-sen, seeking refuge from Yuan Shikai. In 1923, the Great Kanto Earthquake occurred, with most of the buildings in Yokohama being completely destroyed. Since many Westerners left the area after the earthquake, the foreign settlement gradually turned into a mostly Chinese settlement. The area was reconstructed by the 1930s and flourished with many Chinese restaurants. However, many Chinese immigrants left for their homeland when the Second Sino-Japanese War occurred in 1937. After the end of WWII, supplies from China became abundant and the area yet again flourished with many Chinese restaurants. In 1955, entrance gates were built around the area with the word, “中華街”(Chinatown) inscribed on them. This is when the area previously known as Nanking-machi, became known as Chukagai(Chinatown). 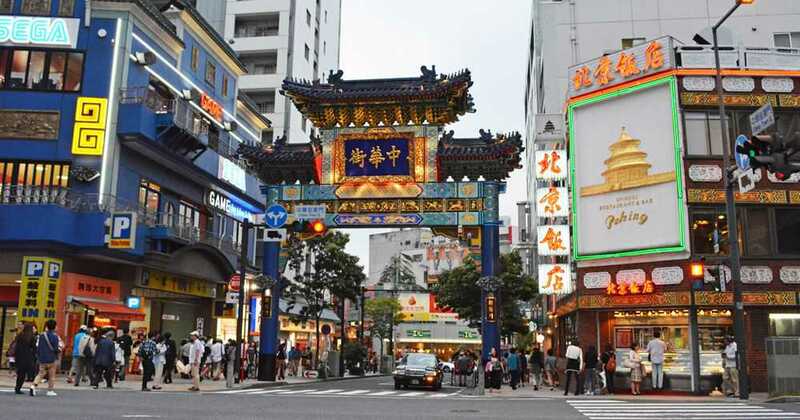 After the restoration of diplomatic relations between Japan and the People’s Republic of China in 1972, Chinatown became increasingly popular and became one of the main tourist attractions in Yokohama it is today. Yokohama Chinatown can easily be accessed from the Motomachi-Chukagai Station on the Minatomirai Line. Many trains depart for Motomachi-Chukagai Station so finding the right train should not be difficult. Visitors coming from the Tokyo area may board the Tokyu Toyoko Line in Shibuya or the Fukutoshin Line in Ikebukuro. Akihabara, or "Akiba" as it is commonly known, is a district famous for its many shops selling all kinds of electronics, and is considered the holy ground for otaku culture.